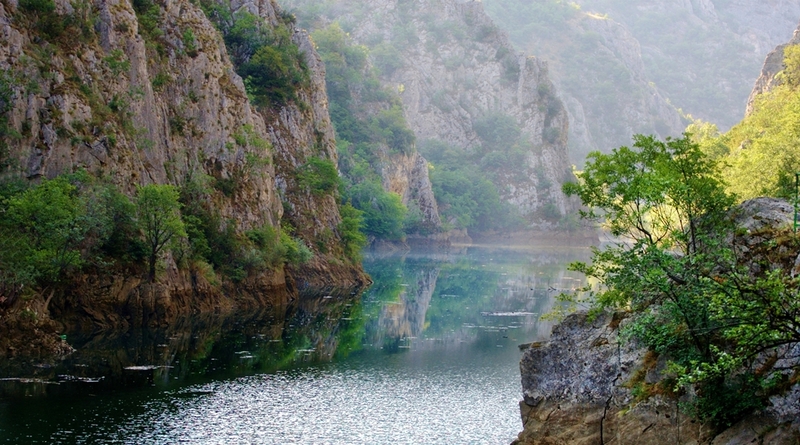 Matka - A gorge in which a rich complex of mediaeval building survives, including churches, monasteries and remnants of a fortress (the mediaeval town of Matka).There are dozens of caves and large number of endemic plants and animals. 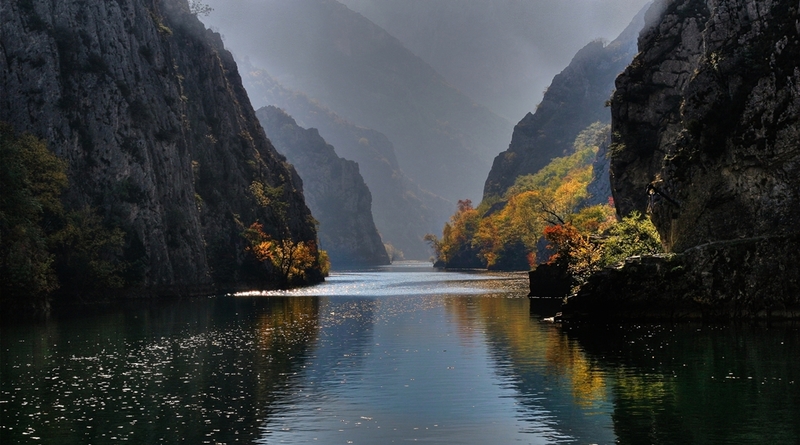 The Canyon covers an area of around 5.000ha and is located 15km south-west of Skopje. 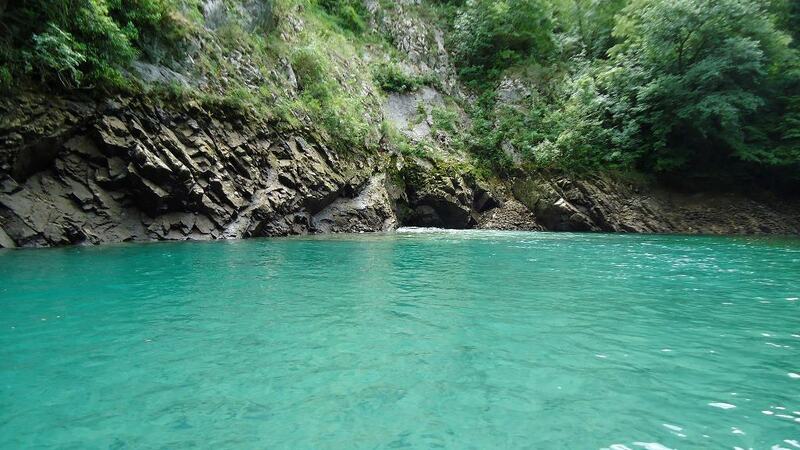 By its morphogenetic characteristic, it is a breakthrough gorge. 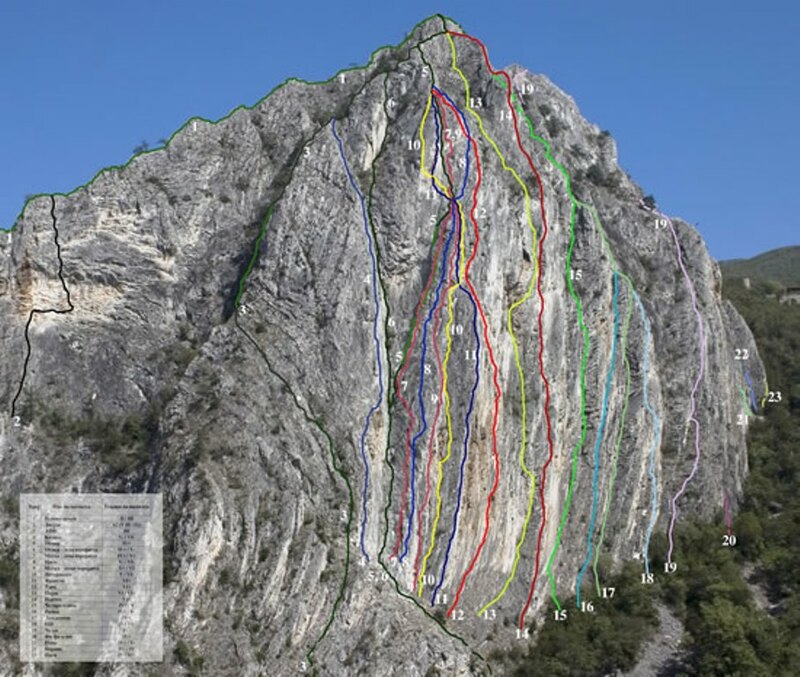 Krastic form deserve particular attention here-ten caves with their length ranging between 20 and 176 meters and two vertical chasms with a depth up to 35 meters. 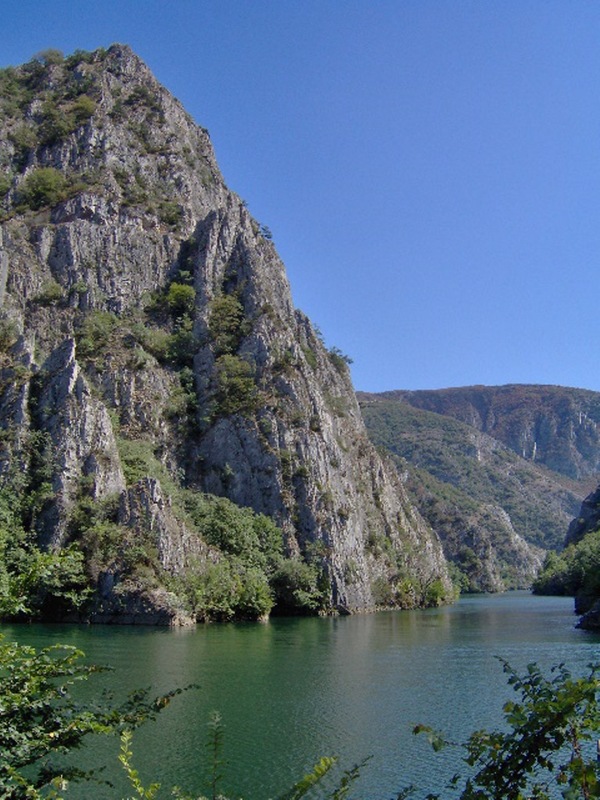 Matka was one of the largest refugee centers during the glacial period resulting in the presence of high number of relic and endemic plants, 20% are endemic or relic spices. 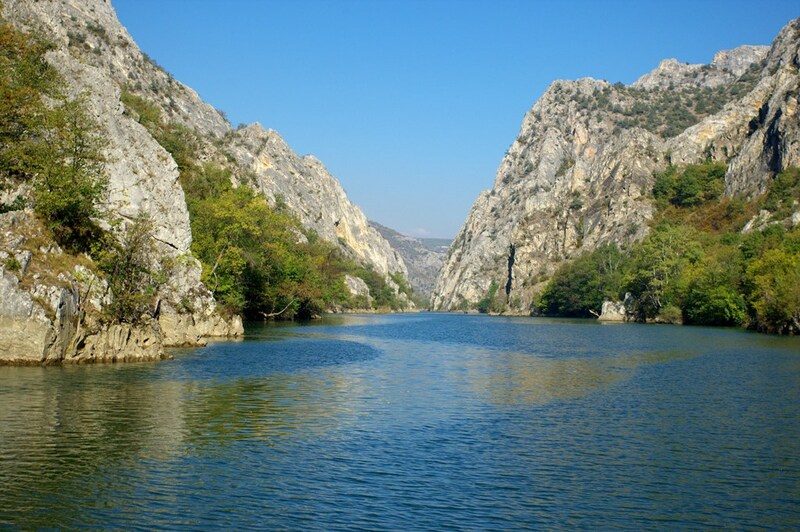 Among Tertary relics, the most significant are the kosani violet and natay's Ramonda (Ramonda natalie).It is also important to mention that there are 77 species of Balkan endemic small butterflies in area of Matka Canyon, while 18 other species are new to the science. 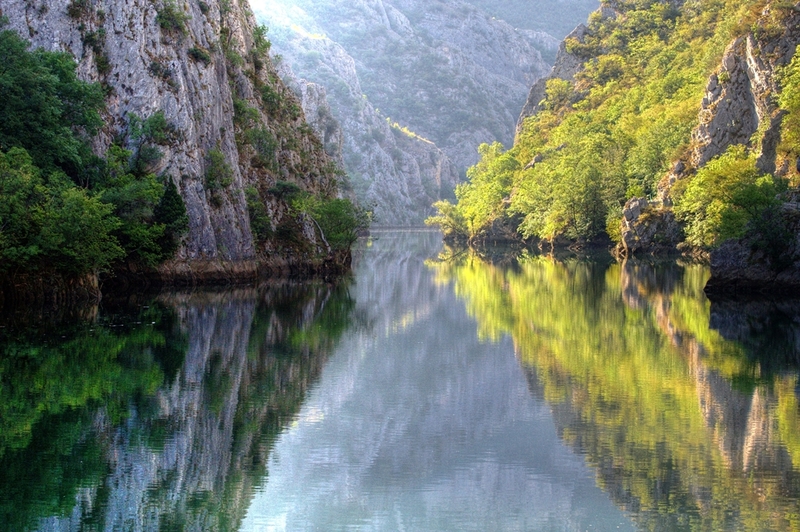 The Treska canyon is vertically cut into the massive of Suva Mountain. The different formations in the canyon like the karrens, flutes, valleys, cracks, crevices and caves have been formed by a long term impact of the mountain rivers, as well as by great temperature oscillations. 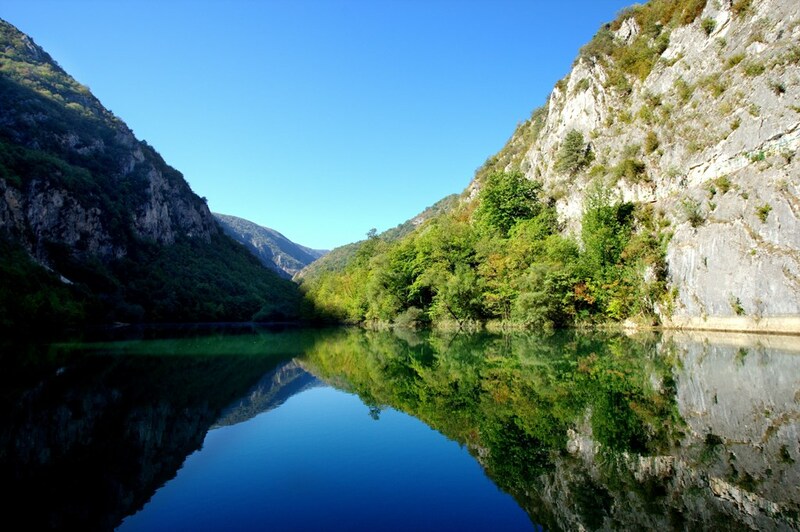 In the surroundings of the Treska Canyon one can find dozens of caves, the most beautiful ones being Vrelo, Krshtalna and Ubava. 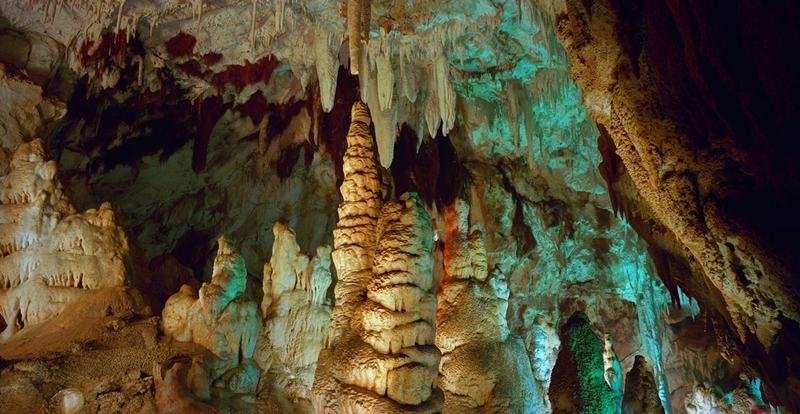 The caves are filled with numerous stalagmites, stalactites and dripstone pillars and some of them are illuminated. The diversity of dripstone adornments has been captured by a well deployed illumination. Visiting tours are organized by an official guide. 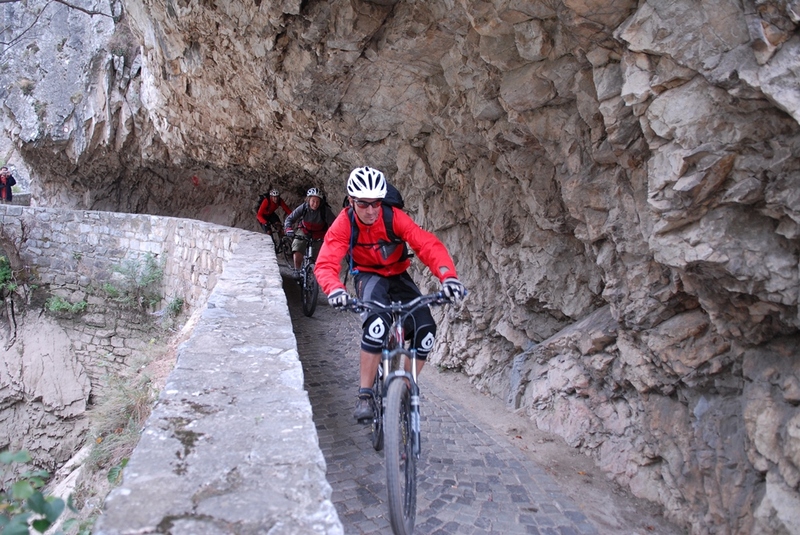 The Treska Canyon is the most important alpine climbing center in northern Macedonia. 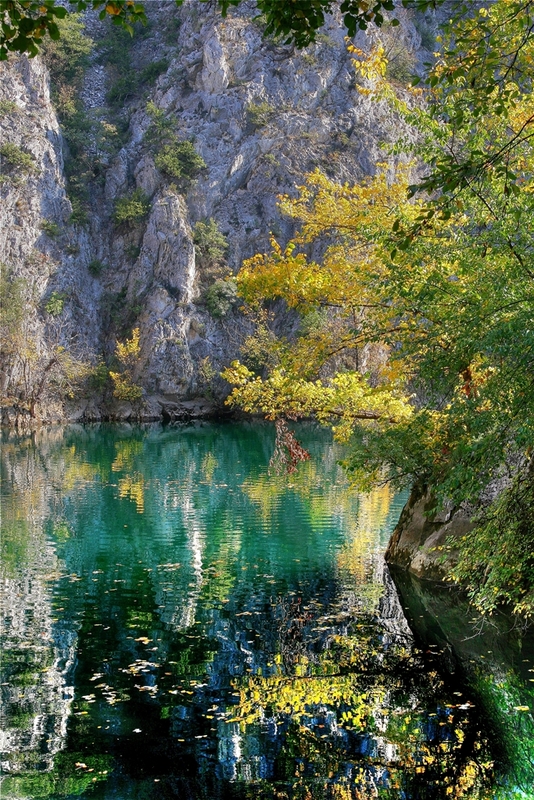 The major climbing season in Matka begins in spring, round the Easter holidays when visitors come from countries from all over Europe. The season continues throughout summer and fall until the end of November. 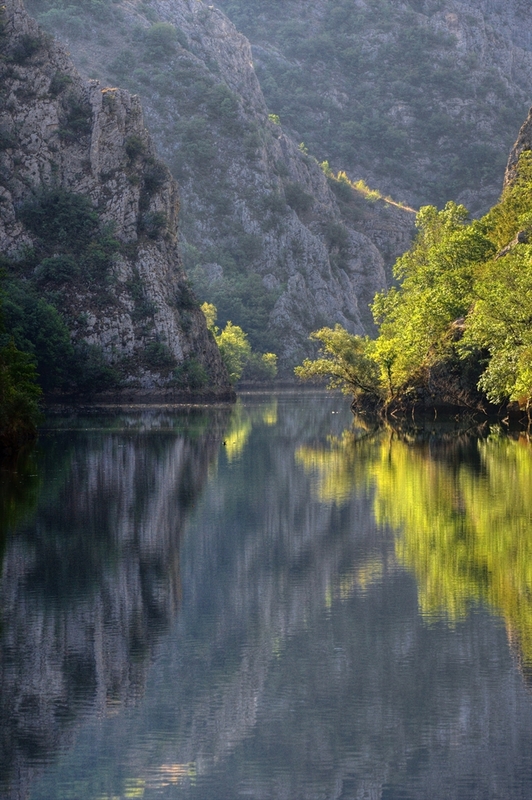 The Treska Canyon is also open for kayaking. 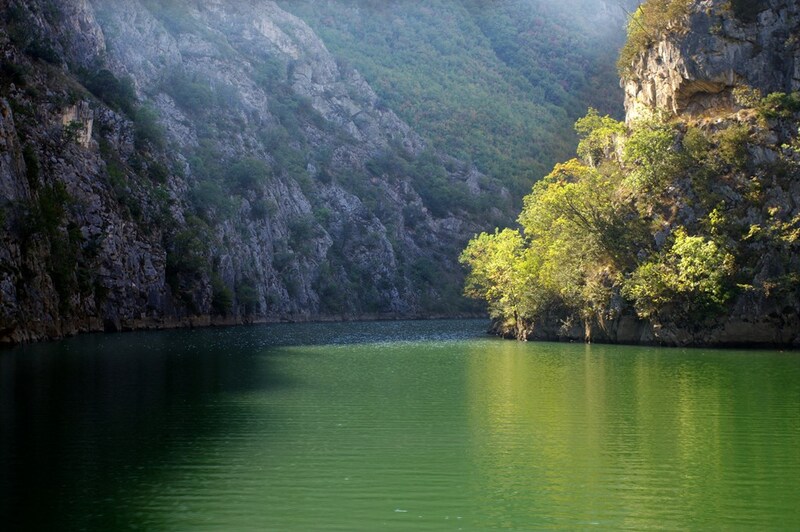 Built in 1389 the Monastery of St. Andrew’s is located on Lake Matka (17 km away from Skopje) and contains frescos of great artistic importance. 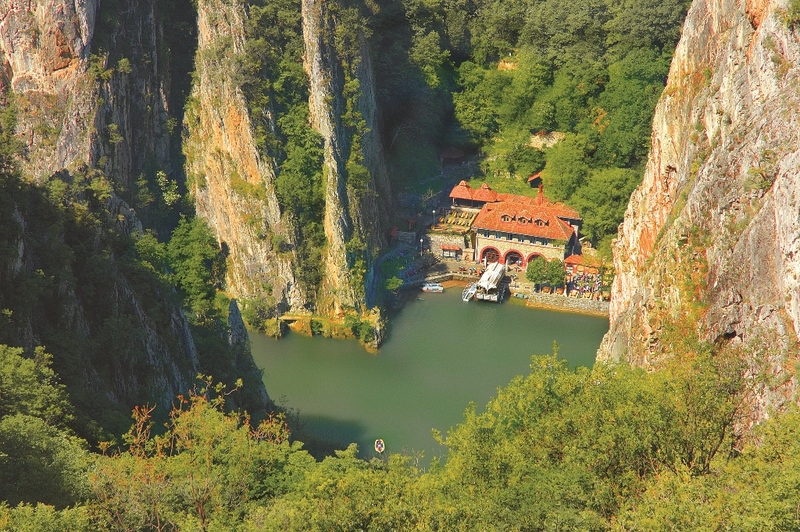 The Monastery of St. Nicholas Shishovski is situated on top of a cliff above Lake Matka giving the visitor a spectacular view of the lake and its surroundings. There is no precise information when this monastery was built, however it is known that it was first mentioned in the 17th century. Unfortunately, during the 18th century the monastery was abandoned, only to be resettled the following century. 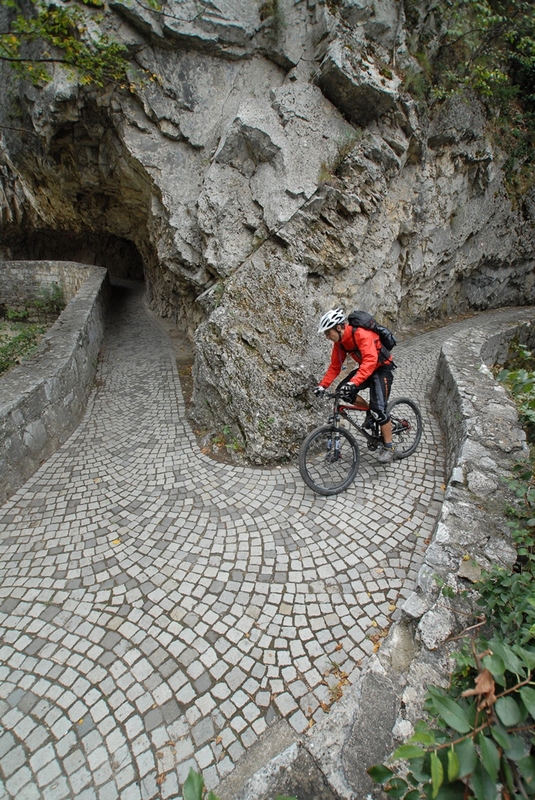 Close to both monasteries of St. Andrew’s and of St. Nicholas is the Matka Monastery dating from the 14th century, its frescos dating from the 15th century. 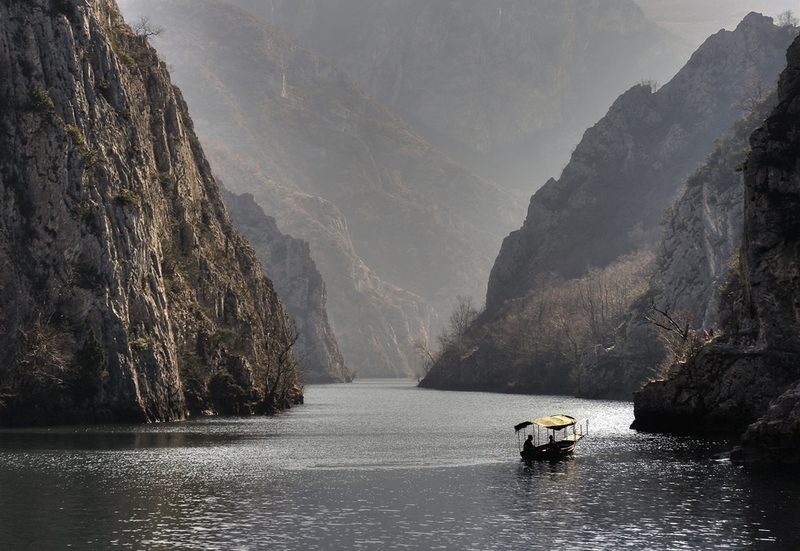 The monastery is located on the left side of river Treska at a distance of about 12 km from Skopje. Church of St. Andreas - built and decorated with frescoes in the 14thcentry.The compositions - "Last Supper„, "Descent from the Cross„ and "Prayer on the Mount of Olives" deserve a special attention. 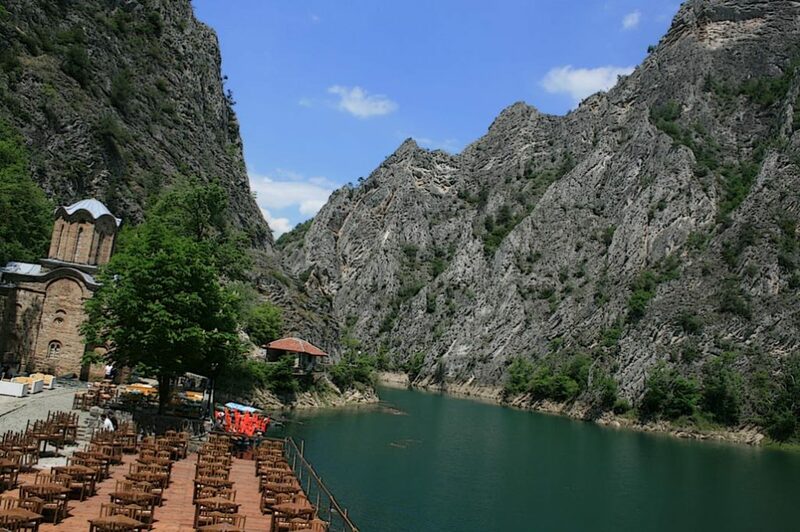 If you considering to go with a bus you should get bus line number 60 from the Skopje's JSP(Public transport enterprise) main bus station to the canyon Matka. Price for one way ticket is only 35den./0.57 EUR. Note: If you considering travelling on weekend and holidays please contact the bus station for any changes of the lines. There is no train line to the canyon. If you are not comfortable to travel by bus, you can always get a taxi. The price for one way is more or less 500denars / 8EUR. 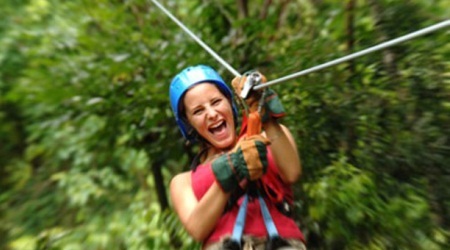 If you'd like to explore the land during your travel to you can go with a car or rent a car. Distance between Skopje downtown and canyon Matka is 12 km.